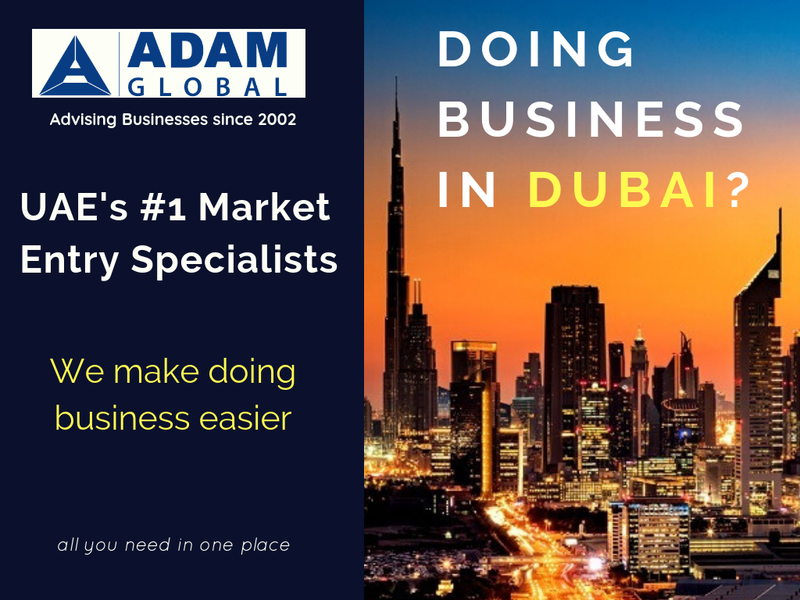 Everything to start a new business – from business setup in Dubai and getting registered, to writing a business plan and getting sponsored – is right here. Are you ready to be an entrepreneur and Start your own business in Dubai? Dubai business advisors will provide you with all you need to make it fast and easy. If you’ve got queries, Our expert advisors are here to help, every stage of the setup and after. All this at a fraction of the fee. Are you planning for business setup in Dubai? As long as you are willing to comply with the government regulations and procedural requirements, setting up business and establishing a company in UAE is an easy process. We, at Dubai Business Advisors (DBA), facilitate hassle-free registration and company formation in Dubai Mainland. Before you go hyperventilating, be aware that to set up a business in Dubai Mainland, you require a licensed local agent to help through the procedure. The investor can have 100% ownership of the company and its management. However, a representative is required to draft legal agreements and other documentation for a professional business company. Why Business setup in Dubai? Setting up a business in the mainland means you have got the access to the best transportation, sustainability and other facilities within quick reach. In short, business set up in Dubai Mainland is socially, economically, politically accessible, apart from having the leverage of favorable demographics. Dubai has been ranked as one of the top cities for entrepreneurs. It is a global city with a diverse culture and the tax-free business location. Dubai is home for more than 42,000 millionaires with the lowest crime rate. Dubai is one of the world’s safest cities. What else someone needs in a business location to start a business? Cost of setting up a new business in Dubai depends which of the two areas Mainland or Free zone, you choose for your company formation. Business setup in super quick time. Hassle free and efficient services. Trusted and Registered Formation Agents. Trust of over 40,000+ happy clients worldwide. Dubai Mainland is a geographical jurisdiction in the heart of the city categorized by DED (Department of Economic Development). Established in 1992, DED is responsible for regulating and organizing business setup in Dubai mainland, company formation and registration, mainland license, commercial compliance and consumer protection in UAE. Sole Proprietorship – As the word says, a single individual owns and operates this type of business setup. Hundred percent ownership and control is given to the individual owner to operate and keep incomes. One Person Company (LLC) – Only a local / GCC (Gulf Cooperation Council) national/ decree holder (acc. to the procedures) or a business body can own a One Person Company (LLC). Civil Company– These type of Companies are for professionals like accountants, doctors, engineers and lawyers who go into a business partnership. Limited Liability Company (LLC) – These types of businesses are permitted to setup any commercial, industrial, and professional or tourism related business. 100% ownership allowed for GCC Nationals and at least 51% for UAE Nationals. Private Share Holding Company – Professional activities are not permitted under this company formation. An investment of a minimum of AED 5 million is required from the partners. Public Share Holding Company – In this type of business setup in UAE, share capital is transferrable and divided into equal values. At least 5 founding members should be UAE Nationals having ownership of 30% to 70% of capital shares. Simple Limited Partnership – This type of business setup can only conduct commercial and industrial activities. UAE Nationals must be the general partners and foreign nationals can be limited partners. There is no limit on the ownership of shares between the partners. Partnership Company – .Partnership companies are 100% owned by UAE nationals and cannot be owned by other nationalities even of GCC countries and corporate bodies. Commercial and industrial business setup are only permitted for such companies. Branch of a Foreign Company – In this type of trade license the Parent Company holds 100% ownership of the branch and has to operate under the same name and perform the same activities as the parent company. Representative Office – Representative Offices are not permitted to carry out business operations but exist to promote and market the parent company’s products and services in UAE. Branch of a Dubai-based Company – A Branch of a Dubai-based Company is fully owned by the parent company and undertakes one or more of the activities listed in the main license in Dubai. Branch of a UAE-based Company – A Branch of a UAE-based Company is fully owned by the parent company and undertakes one or more of the activities listed in the main license in UAE. Branch of a GCC-based Company – A Branch of a GCC-based Company is fully owned by the parent company and undertakes one or more of the activities listed in the main license in GCC. Branch of a Free Zone Company – Freezone Companies in the UAE are permitted to expand business operations to the mainland if the activity they engage in is authorized in the mainland business setup. Intelaq (Home based business for UAE Nationals) – An Intelaq License can only be obtained by UAE Nationals. These licenses are issued for home-based business setup and can be for any professional, trade or artisan business. SME License – These type of license is granted to businesses with 100% UAE National ownership and can be of any legal form. Selecting a legal form or structure of business depends mainly on the nationality of the investor/owner and the type of commercial activity. The name of the business set up in Mainland Dubai is approved by DED. The title of the business entity and the logo is required to be in line with the regulations set by DED for investors applying for registration and formation of business in mainland Dubai. Before anything, you have to appoint a UAE national as a local sponsor or partner of your company, to begin with, the process. Though, you can make an agreement that the local sponsor will not have any involvement in the business operations or profit sharing in your company. Once the trade name is registered, your advisor will apply for initial approval certificate. The initial approval certificate is necessary for further processing of documentation and approval from other government bodies like – Ministry of Economy, Ministry of Interior, Ministry of Justice, Civil Defense. Foreign investors are required to obtain a certificate of approval from General Directorate of Residency and Foreigners’ Affairs before the initial approval. Initial approval does not permit an investor to start trading activities unless the commercial license is duly issued. An office address verified by the Dubai Municipality is a prerequisite for establishing business in Dubai mainland. The office space depends on the availability of office space at the time of applying, the validity of the tenancy contract as well as the type of license investor has applied for. It is mandatory for all businesses in Dubai Mainland to have a physical address. Our Business Consultant will assist you in determining a site to conduct your business activity which would be fully compliant with the requirements set out by DED. In Dubai, for attestation purpose, you must present a rent agreement (MoU) registered with Ejari for the proposed location of your business. Ownership of LSA or Sponsor must be the same. Not less than 200 sq. ft. for each space allotted. After completing the above-mentioned processes, your appointed advisor, consultant or agent will submit all the documents to DED and finalize all due payments. Tada! Mission complete! Within a few days, the investor will receive the Trade License and can establish and start a business in Dubai. At DBA, we are trained and experienced in providing timely assistance and facilities to help you get your trade license and business setup in Dubai.